The second part of the Isabelle van Keulen Tango-tour in the Netherlands will start on January 20th and go from Zwolle, Eindhoven, Ede, Heemstede, Oostzaan to Delft. Lots of opportunities to see them play! See the video of 'Tango!' here! AMAZING MUSIC, AMAZING MUSICIANS !!!!!! "The van Keulen Ensemble have set the bar so high, and so much of what's here is compelling and freshly thought." "One hears the unprecedented devotion of the musicians and the recording is excellent, but it is as if the tango has not been enriched but halved." "ISABELLE VAN KEULEN plays violin like viola. Above all, however, the sports enthusiast from the Netherlands sets her colors in music - only she does not like green." "Angeles y Diablos is a very strong interpretation of an important theme from the work of tango master Piazzolla." "The ensemble shines an enlightening light on Piazzolla's mythical dimensions." "Album of Week Isabelle van Keulen - Ángeles y Diablos... beautiful tango cd." "A sparkling tribute to the grandmaster of the tango." 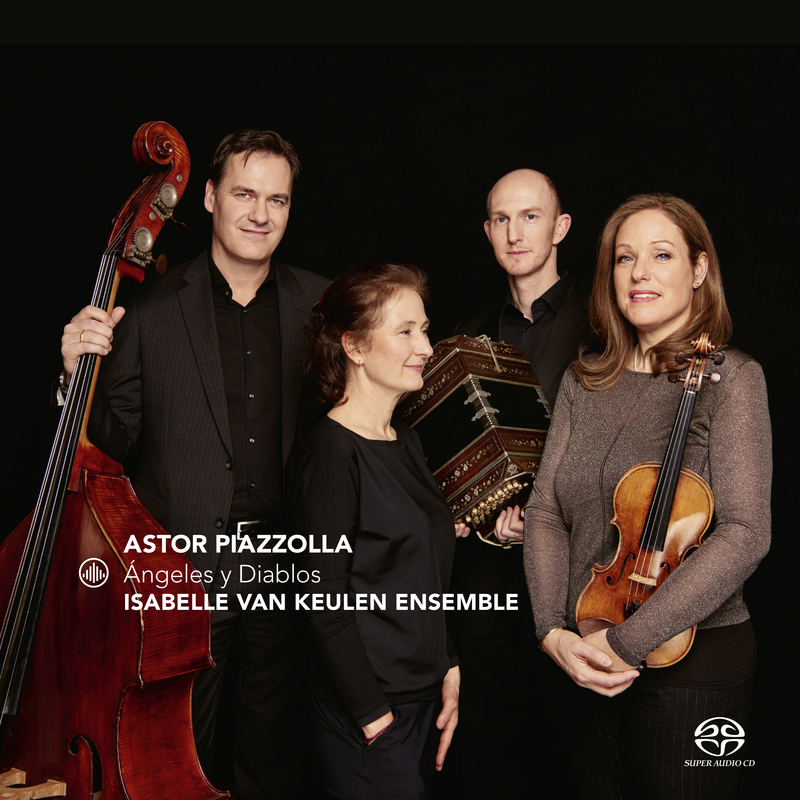 "'Ángeles y Diablos', or Angels and Devils, is a tribute to tango master Astor Piazzolla. Star violinist Isabelle van Keulen brings her ensemble together and steps into a roller coaster of emotions." "This is a great CD. The Isabelle van Keulen ensemble brings these renewed, infectious tango's with a lot of dedication and passion."